The other week we headed out for a camping adventure...in our own town. Silly, maybe, but since we hadn't ever camped with the camper before, we wanted to try it out close to home first. We chose to head up to road to Lynx Lake, which in Prescott National Forest. Lynx Lake is absurdly beautiful, surrounded by the greenest trees, millions of trails and walking paths, and it's a great place for kids and families. We spent our mornings walking around the lake, and the rest of our time hanging out around the campsite, playing games and wandering around the many trails. It was a really, really good time and we can't wait to venture out next time. I wanted to include some tips for camping with kids, or at least what worked for us. Granted, this was roughing it whatsoever, as there was bathroom in walkable distance (heck, our HOME is in walkable distance if you want to get technical), but there are some tips I feel comfortable sharing, even from what some would call this "easy" experience. Although honestly, is being away from home with kids ever easy? There's always a learning curve, and just when you think you've got it down...it's time to go home! Stay active. We framed our day with walks and activity, which wore the boys at and allowed them to stick to their regular naps (more on this in a minute). 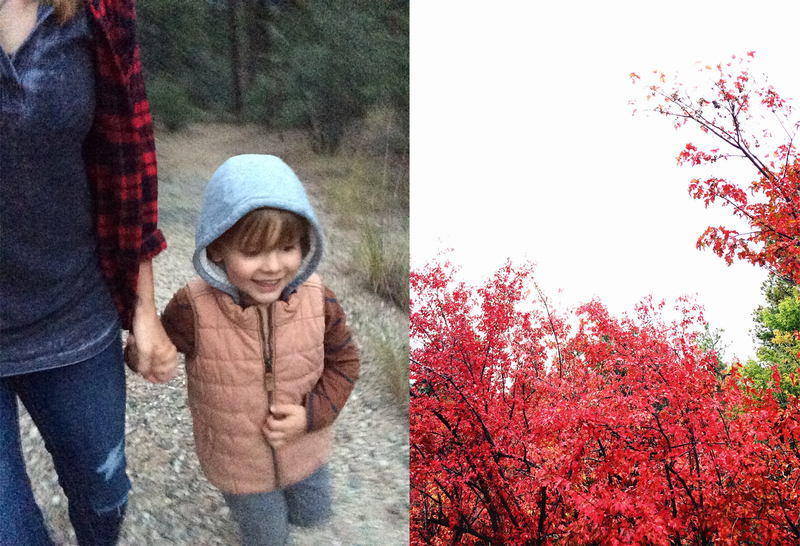 We brought our BOB jogger, which came in handy for walks on the trail. But by waking up and walking right away, then walking at night, we were always busy and avoided boredom at the site all day. We also wore Charlie in the Ergo a lot, which allowed us to actually hike off of the paved trail. Naptime/Bedtime. If you're like us, you like to stick to naps and bedtime as much as possible. Our kids nap and go to bed at the same time everyday, so when we're vacationing we try to stick to that also. However, I'm sure you know that this can be impossible at times, especially when sharing a sleeping space. Here's how we do it. Charlie still naps 2x a day and Henry naps once. Charlie's morning nap is no big deal- we always bring our white noise machine wherever we go, so we just plugged it into the generator and he was out (we brought the Breeze with us, and he slept in there). For the second nap, where both boys' sleeping time falls at the same time, I would bring Henry in first and wait for him to fall asleep (he's the HEAVIEST sleeper). Then I would come in with Charlie and put him down. It sounds easier than it was- insert some tip-toeing around and knocking things over in the dark camper- but it worked. The key for us was bringing the white noise machine, and putting them down separately...after completely tiring them out during the day. Now, if you're in a tent it's a little different, but as far as camper-camping this was great. Food. We planned for three days, and the key for me was just making a list and checking it off. Breakfast stuff (bagels, oatmeal, fruit), lunch stuff (PB&Js, lunch meat and cheese, hummus and veggies) and dinner (hot dogs, veggie burgers, etc.). We had the convenience of being able to keep things cold, and also having a store down the street. But I imagine if you were camping the wilderness it would be a whole different ballgame. Preparation though, was the most important. Everything was chopped and prepped and stored, and I knew what each meal would be. We also brought a high chair with us (a super light and small one). We had actually ordered a travel highchair but it hadn't arrived yet, so next trip I'll be sure to talk about it- it's super neat and folds up like an outdoor chair. Entertaining kids. 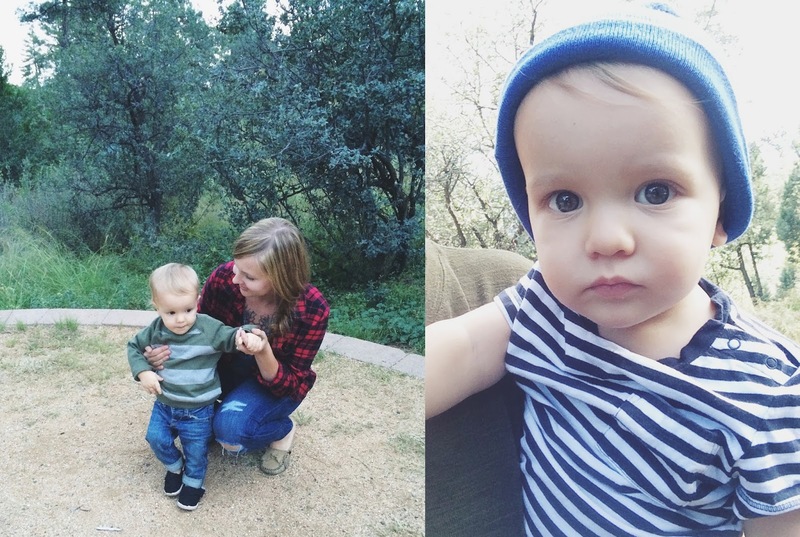 The big thing for us was staying busy with hikes and walks, and then in between having some fun activities for Henry. One night we carved a pumpkin but the firelight, another we roasted marshmallows. During the day we played games (I brought a few board/matching games), took nature walks, and did collecting. We also colored a lot and read books too. And if you do run out of things to do, I'm a firm believer in letting kids be BORED. That's when the best creativity and thinking happens anyway, right? Be prepared. Bring more than you think in these areas: layers for warmth and snacks! I feel like there are never enough snacks, and never enough layers! Also, don't forget: sunscreen, bug spray, sunglasses, first aid kid, an extra pack of wipes, socks, matches, hats, flashlights and headlamps, and some fun things for the kids to do! If you have a little one, consider bringing a pack-n-play for both sleeping, and for when you need a break from chasing your new walker around. It was nice to be able to have Charlie play for a bit in there during the day, right next to all of us, but safely contained. I'm always slightly jealous of people who go camping. Part of me thinks I'd like to try, but I'm devoted to long hot showers and proper bathroom breaks. Also, I'm convinced I'll be eaten by a bear.